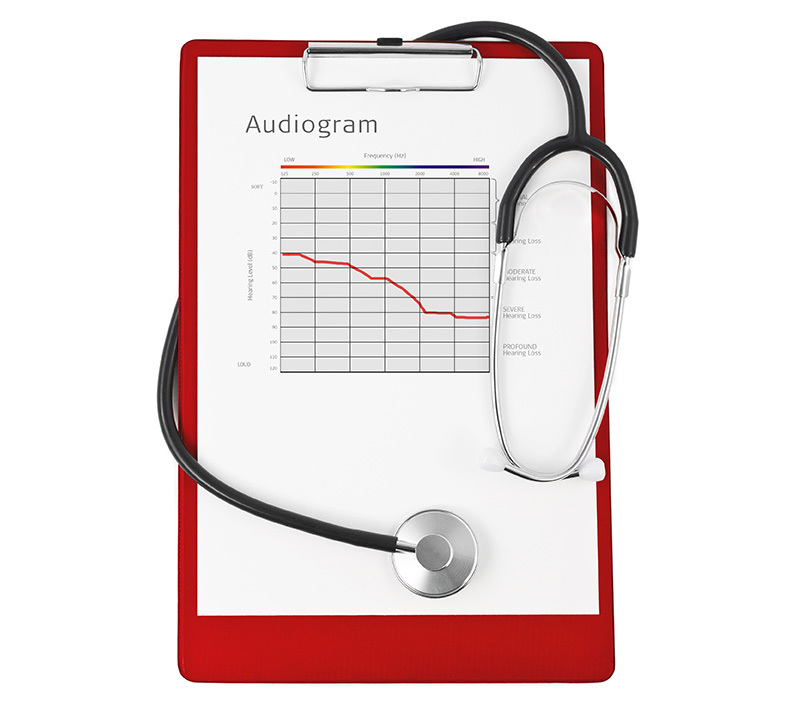 Some hearing test results will be written on a chart called an audiogram. Hearing is measured in volume (loudness) and frequency (whether it’s a high or low pitch). The audiogram shows how loud a sound has to be, and at what frequency, before the child or adult can hear it. The vertical line of the audiogram represents the volume, which is measured in decibels (dB). Minus 20 dB at the top represents the quietest sound it’s possible to hear, getting gradually louder the further down the line you go. The horizontal line across the bottom of the audiogram represents sound frequency, which is measured in Hertz (Hz). To give an idea of what this means, a low note on a piano keyboard has a low frequency and a high note has a high frequency. Sound frequency increases gradually from left to right, with between 500 Hz and 4,000 Hz representing the most commonly used range during conversation. The results are recorded using Os for the right ear and Xs for the left. Read more about hearing tests in children here. The locations of sound on this chart are approximations. The specific pitch of the human voice differs amongst men, women, and children. Variations in distances between listeners and speakers may affect the perceived intensity. 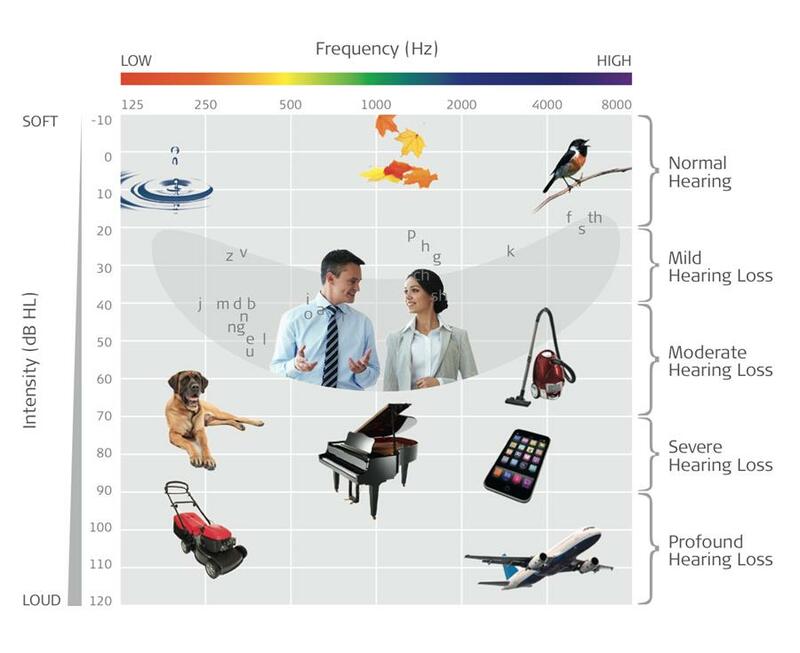 This chart is adapted from information provided by the American Academy of Audiology. You have received an audiogram?